Use the discount code Prestigiazione15 in order to save 15€ on the ticket!!! 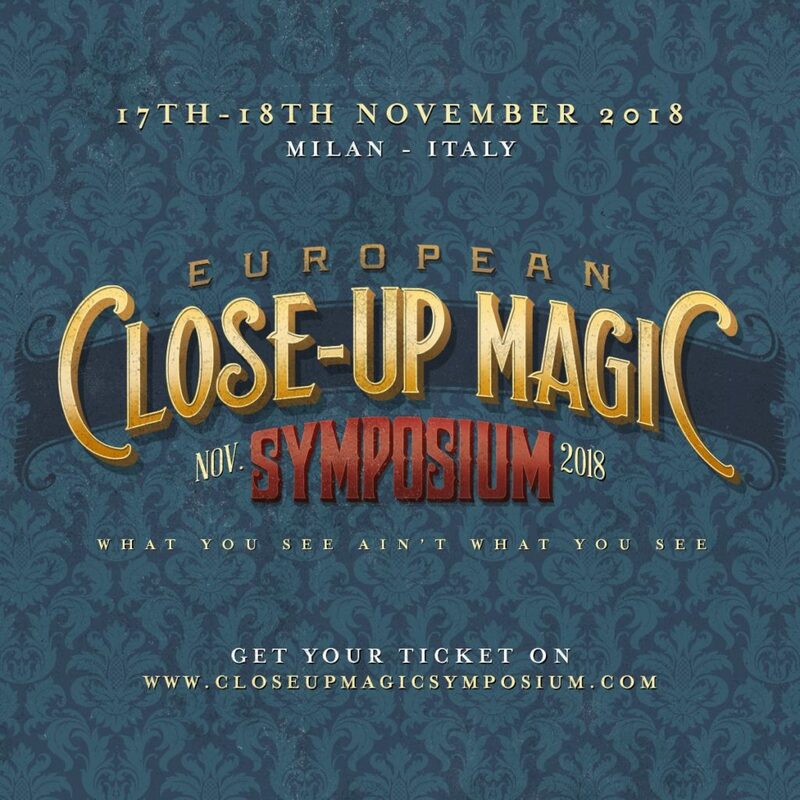 Here it is the incredible cast of the European Close-up Magic Symposium (Milan, Italy, 17th – 18th November 2018). ECUMS is the “Original Close-Up Magic Convention” and the most prestigious gathering of close-up magicians in the Europe. Guest of Honor: Roberto Giobbi. With: Roberto Giobbi, Bebel , Giacomo Bertini, Alex Conradi, Raul Cremona, Pepe Fernández, Miguel Angel Gea, Flip Hallema, Eric Jones, Paolo Lepore, Angelo Mirra, Yumi Nakajima, Remo Pannain, Gianfranco Preverino, Mario Raso, Tom Rose, Sergio Starman, Jamy Ian Swiss, Francis Tabary, Michele Trabona, Trabuk. Nambernain, Asti, aggiornamenti e costi.